Search Engine Optimization enhances the visibility of your website. This makes it easier for potential clients to find you. When you have more potential clients visiting your website, this increases the probability of converting calls-to-action and direct inquiries into sales. In a tightly competitive market and with close to a billion websites operating in the Internet, climbing up the search rankings and generating organic traffic is very important. 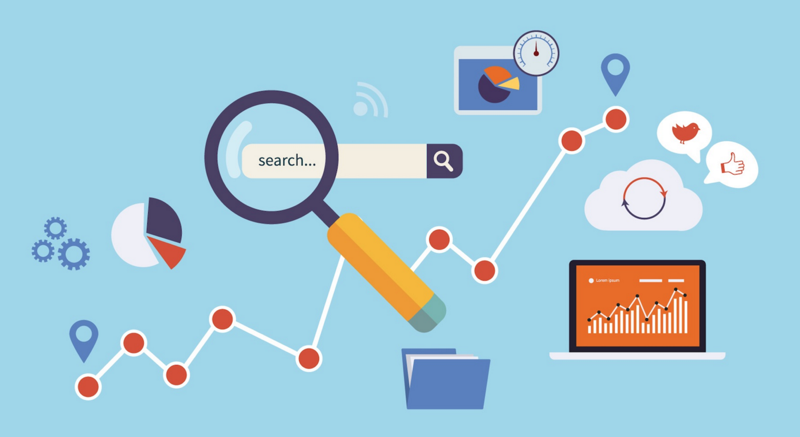 Our SEO experts have more than 8 years experience helping clients from various industries move up the search rankings in Google for competitive keywords. Our suite of services in digital marketing includes social media marketing, conversion rate optimization, content writing and website maintenance. As a leading virtual assistant company, our focus is to consistently generate quantifiable results for our clients in terms of growing organic traffic, conversions and sales. We use white hat SEO techniques that strictly comply with Google’s guidelines and will boost your position in the much coveted first page of the SERP or Search Engine Results Page. Our SEO consultants will analyse your website and assess its strengths and weaknesses. We will create quality back-links only from relevant and high visibility sources in your industry. A detailed keyword research report will be created and provided to you. The keyword research report will be the basis for creating unique, relevant and engaging content to compel your reader to action. Finally, we will submit a monthly progress report detailing the performance of our SEO program. Our professional SEO consultants have provided services for clients in Australia, New Zealand, the United States and the United Kingdom. We’ve helped businesses in Sydney, Melbourne, Perth, Gold Coast and other regions achieve unprecedented increases in search rankings with our SEO services. When you choose to work with Outsource Workers, you have made a decision to work with a globally respected company that delivers consistent results and great customer service. Do you want to optimize your website and get found on the first page of Google?